Home Tags Posts tagged with "blue cut fire"
California’s massive Blue Cut wildfire has been 40% contained allowing many evacuees to return home. However, some 96 homes had been destroyed in the fire since it broke out on August 16. 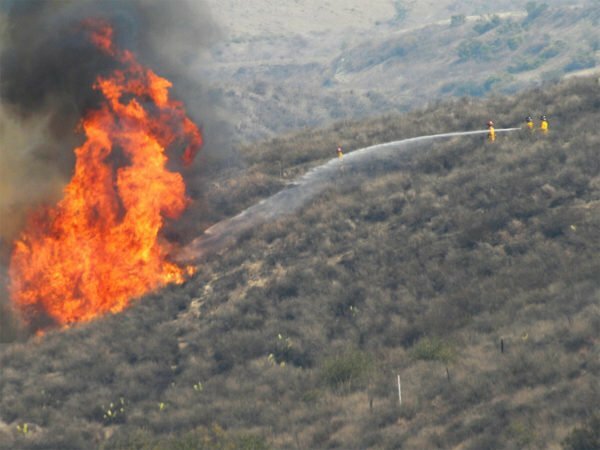 Some 58 sq miles have been charred in San Bernardino County, 60 miles east of Los Angeles. Several more fires continue to burn in other drought-stricken parts of California. He added that more gains were expected on August 20, despite firefighters continuing to face dry, hot and windy weather. Brad Pitassi said the number of buildings destroyed could have been far higher. Blue Cut, named after a narrow gorge where the blaze broke out, had led to an evacuation order for 82,000 people on August 16. Many people have now been allowed to return but others were left homeless.